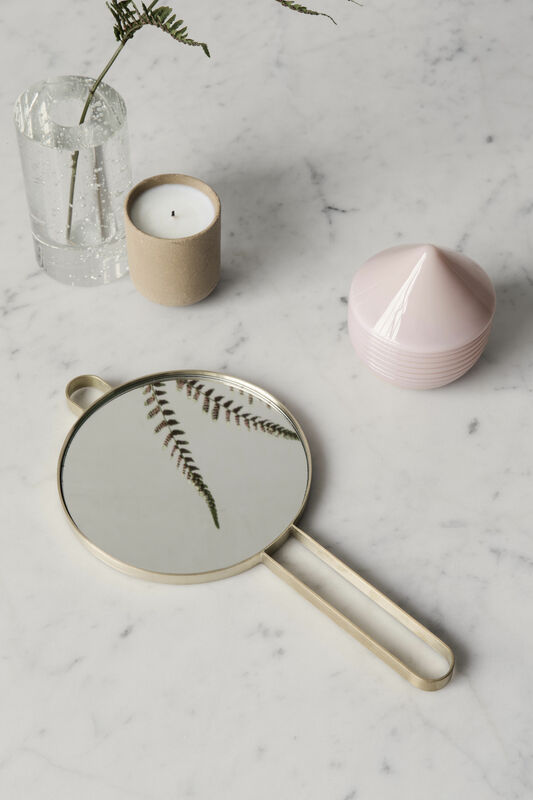 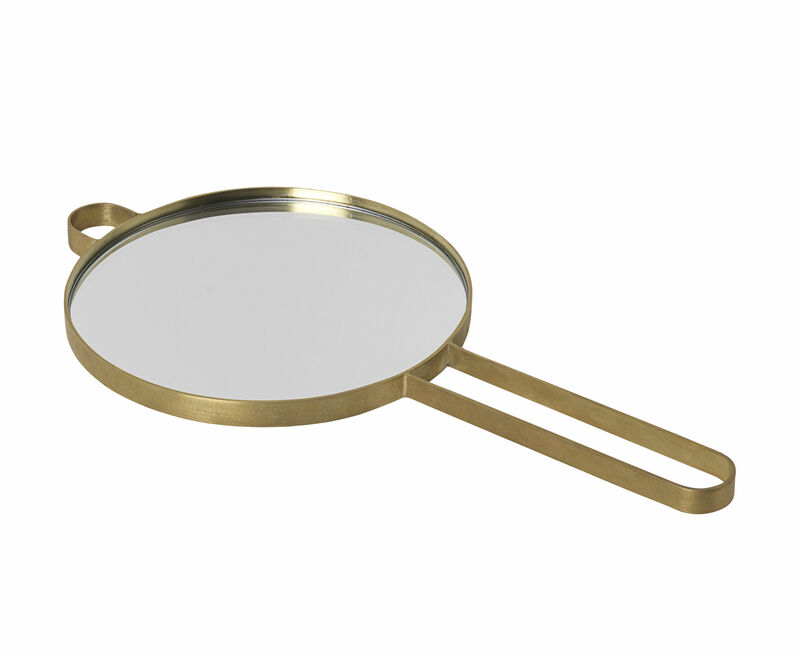 Very elegant, this golden brass hand mirror is inspired by old models. 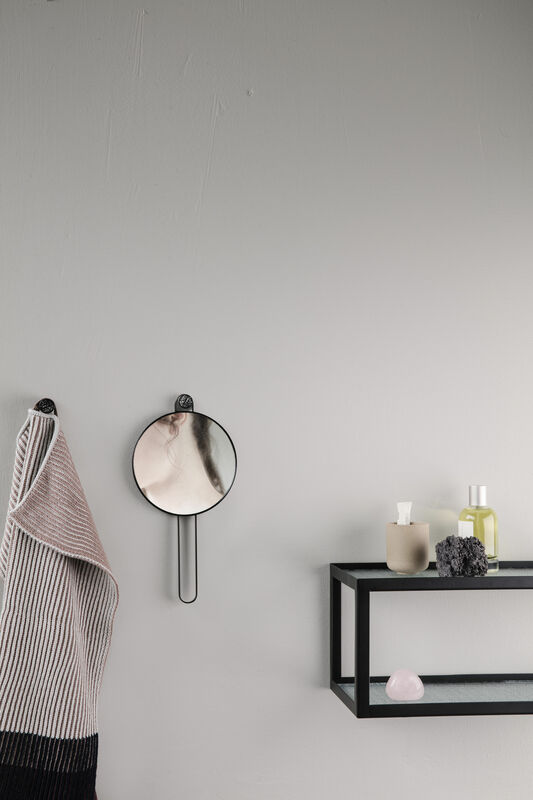 It is a classy accessory that will proudly decorate your bathroom or dressing table. 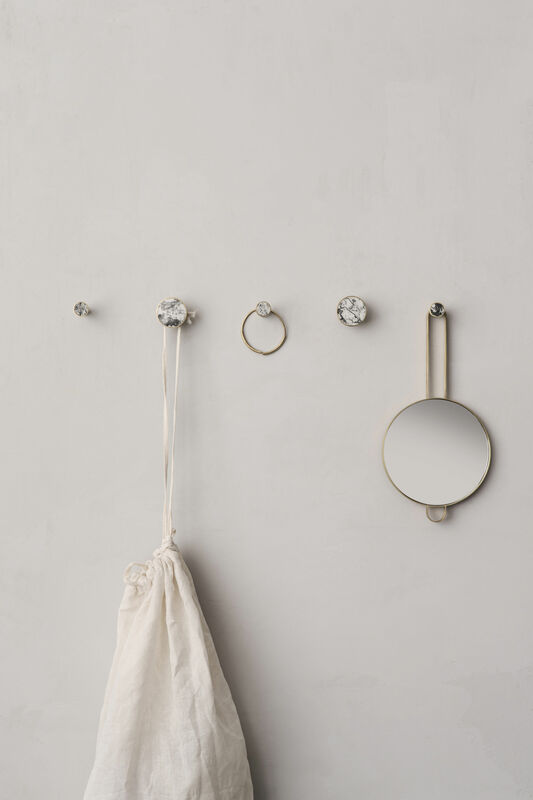 The small ring enables it to easily hang from a hook.